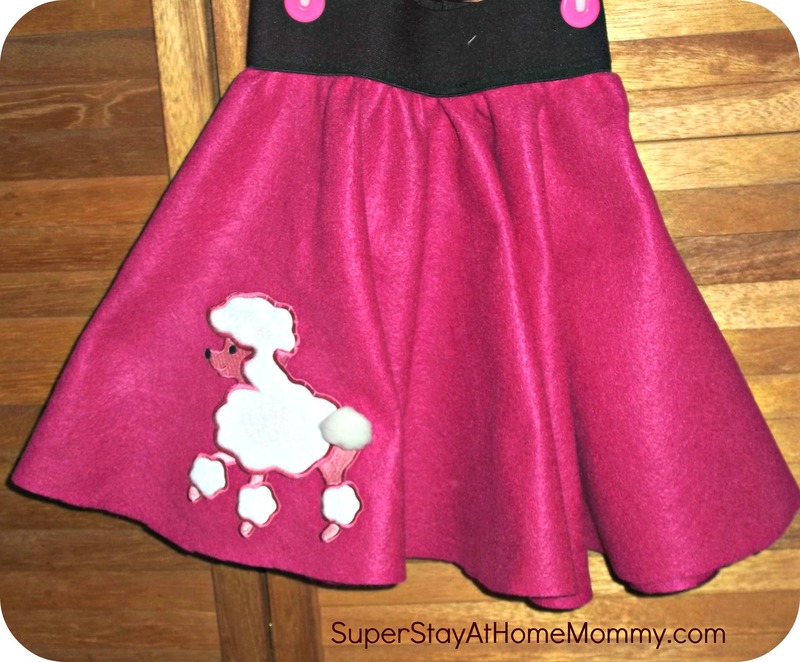 Child’s Poodle Skirt Tutorial | Super Stay At Home Mommy! To start, as I said before, I used the pattern from Dana Made It, and simply add a couple to the length. 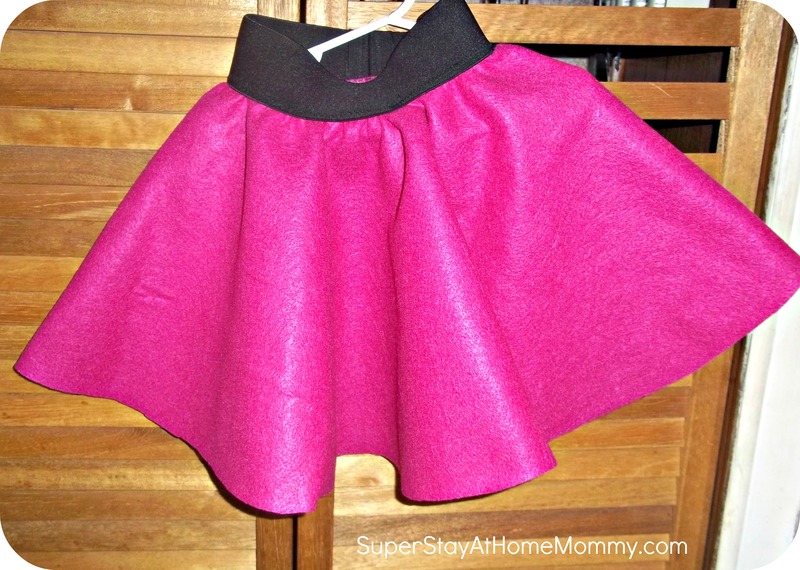 To make this skirt, I used felt. 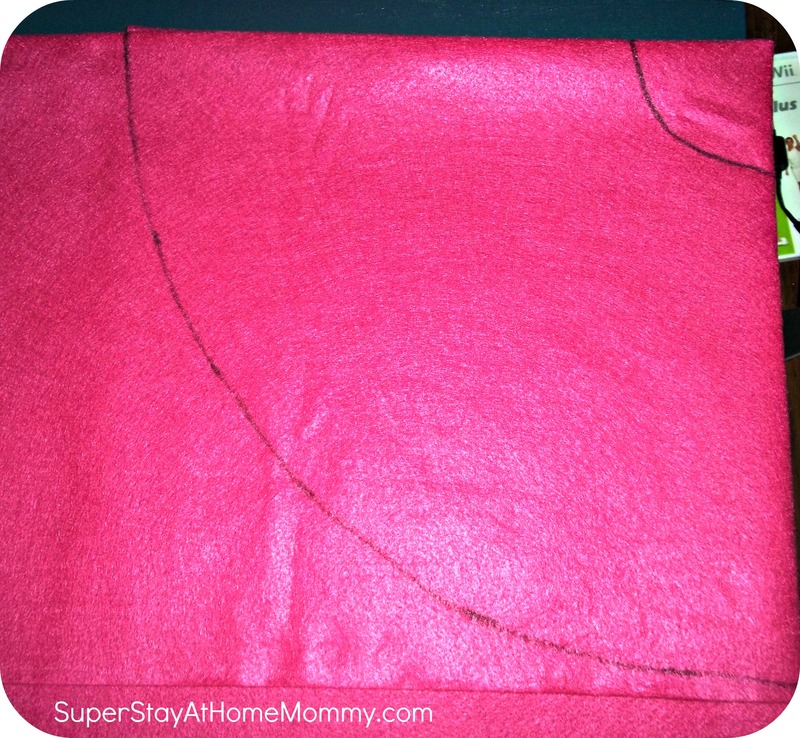 The beauty of felt is-- NO HEMMING! How great is that! It doesn't fray, so no need for hems. 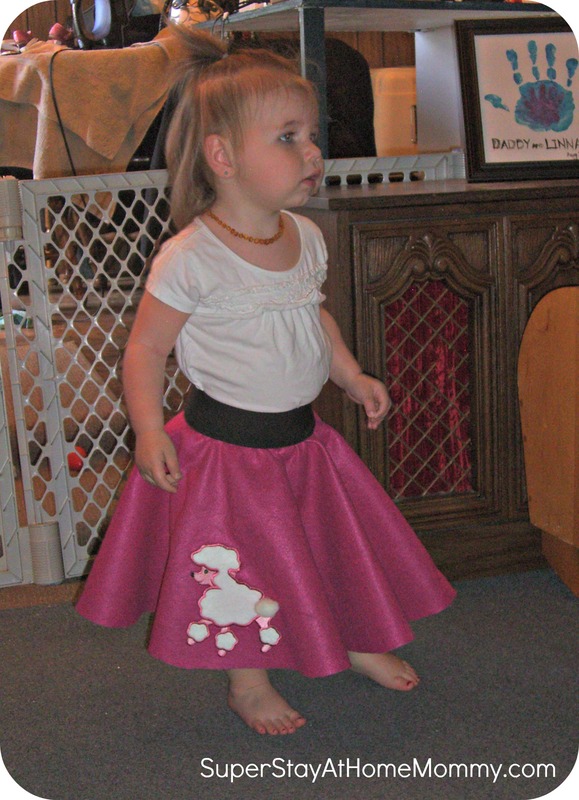 Again, following Dana's tutorial, I sewed the exposed elastic along the top. We're almost done already! 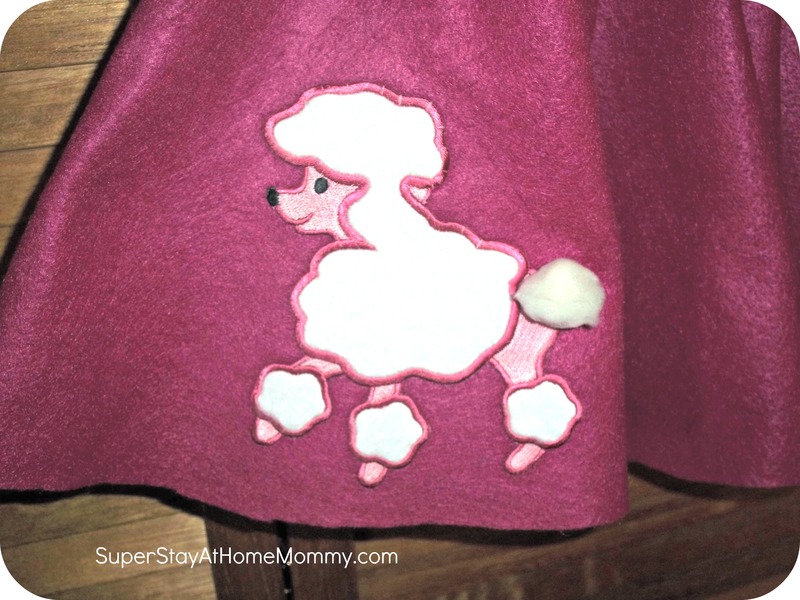 Here's the iron-on poodle applique. I ordered online from Joann's. All we need to do is apply it! Voila! 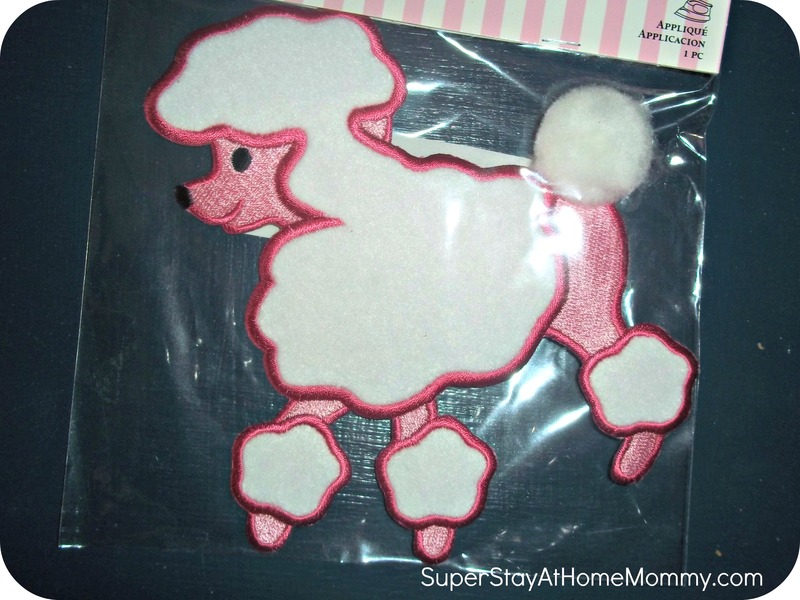 We have a poodle! Here's the finished product. How easy was that! Needs to wear that Saturday. I made this for my granddaughter. It turned out great!